Everybody and everything is somewhere. Since the time of cavemen, humans have needed to know where they are and where to go to find food and shelter. Over time, maps have evolved alongside people and their increasing ability to make them, and their changing uses for them. A map is like a picture, usually on a flat surface, of a whole or part of an area. Border - To define the edge of the map. Orientation - Usually a north arrow to show what direction the map should be placed so it matches the direction of the land. Legend (key) - To show what the symbols on the map mean. Title - To explain what the map shows eg Canterbury. Scale - to show what a distance on the map equals in real distance eg 1 cm equals 1km. Maps show certain features of an area, often the physical properties of Earth's surface and the relationships between people and their environments. There are many different types of maps used to display a variety of things, such as; political boundaries, population, physical features, natural resources, roads, the latest weather patterns, topography, and economic activities. Maps have been around for about 8000 years. So, people have been drawing pictures to show where things are for a very long time! People have made and used maps as necessary tools to help them identify, understand, and navigate their way around. From cave painting and rock carvings to ancient Babylonian clay tablets, from the age of exploration to the 21st century, mapping has been an important part of humanity. They have helped us in the development of our society and culture. Cartographers are people who produce maps. Cartography is the art and science of map making. The Babylonians drew maps on clay tablets over 4,000 years ago. Maps were also made on leather, stone, and wood. The most common medium for producing maps is on paper. Today, however, nearly all maps are produced on computers, using software such as GIS. Information or data for making maps was first collected by people who recorded what they saw on the Earth’s surface. These people were often sailors or explorers. Maps were made using land surveying, triangulation, and observation. People who have the job of making accurate measurements of the surface of the Earth so we can make maps are called surveyors. These days aerial photos and satellites give us very accurate data about the surface of the Earth. This process is called remote sensing. Māori were living in New Zealand from around 1300 AD. They named features of the land such as mountains, rivers and harbours. Māori formed oral maps, often told as a kōrero or whakapapa. In some cases, posts or piles of rocks were used to mark boundaries. Map-drawing was not part of Māori tradition. Later, they helped Europeans explore, and some sketched maps to provide information about the land. Abel Tasman arrived in New Zealand in 1642. He drew two charts, and in 1646 New Zealand was shown on a world map for the first time. Later, when more Europeans began arriving, they had certain priorities. Firstly, they needed to sail here and make it safely ashore. Secondly, they looked for shelter, food, and security. Next, they would search further afield for resources to exploit. And then they might find time for leisure and recreation. These priorities have formed the basis of different print maps of New Zealand that have been created over time. Digital mapping (also called digital cartography) is the process by which a collection of data is compiled and displayed electronically. Digital maps are interactive and dynamic. They can be readily updated, analysed, manipulated and restyled. Digital maps can utilise virtual 3D environments, and can display information in real time. 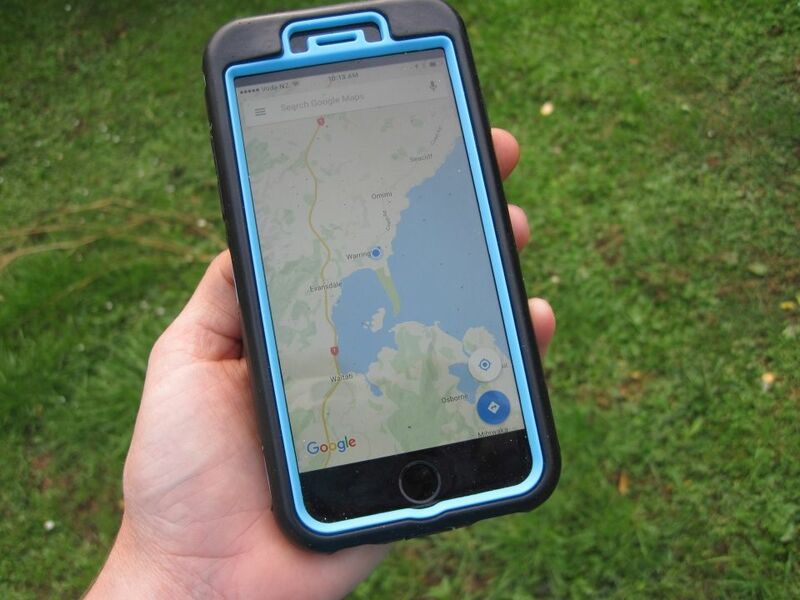 The maps can be shared by streaming them over WiFi and cellular networks. Digital technology has created a much broader and more powerful cartography. We now make more maps and we make them faster. We compile a more varied range of data, analyse it in greater depth, and present it in different ways to a much wider audience. Digital technologies will continue to evolve and so too will the opportunities for innovation in the way we make and use maps. Cartography will become increasingly important in helping us better manage and develop our resources, our environment, and our society. Recent maps: Think about the maps you have used lately. How were these maps made? How much information did they include? How could they be improved? 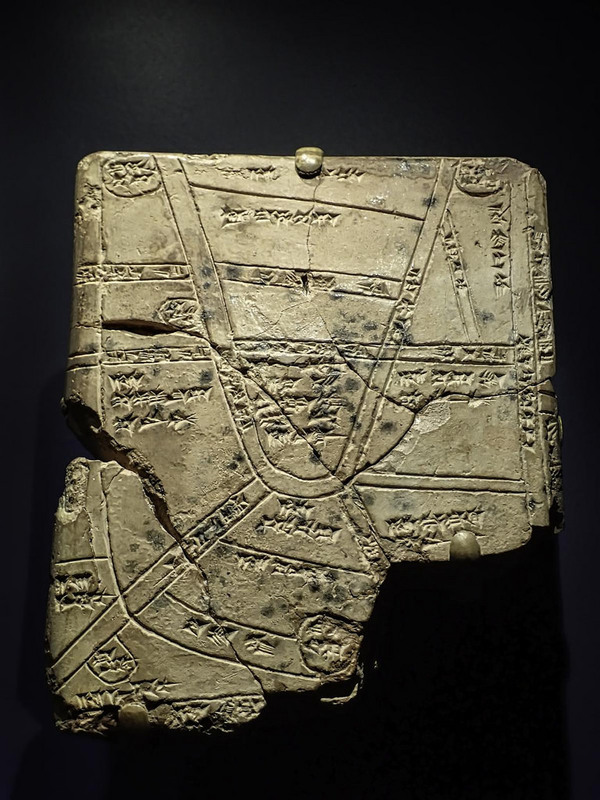 Babylonian clay tablet with a map from Nippur, dated at around 1500-1155 BCE. Image: Creative Commons. 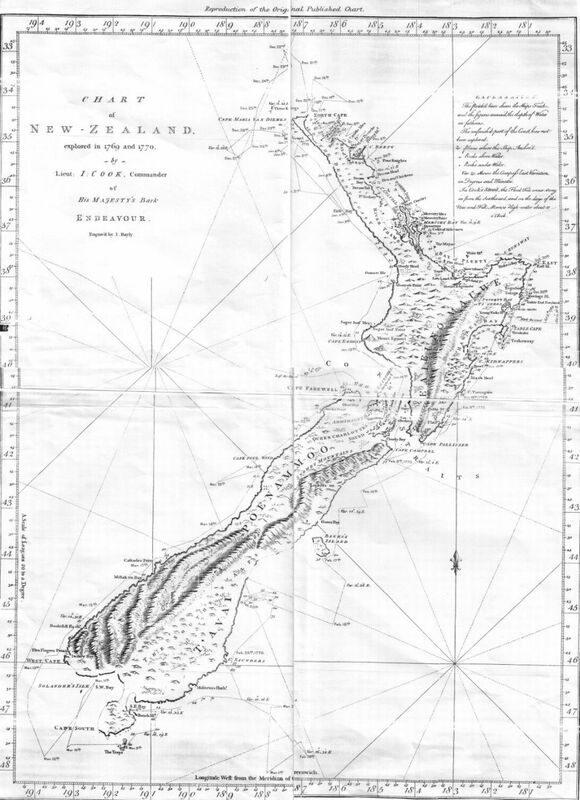 This is an image of a chart of New Zealand made by Captain Cook during his 1770 voyage of exploration in the Pacific. Image: Public Domain. 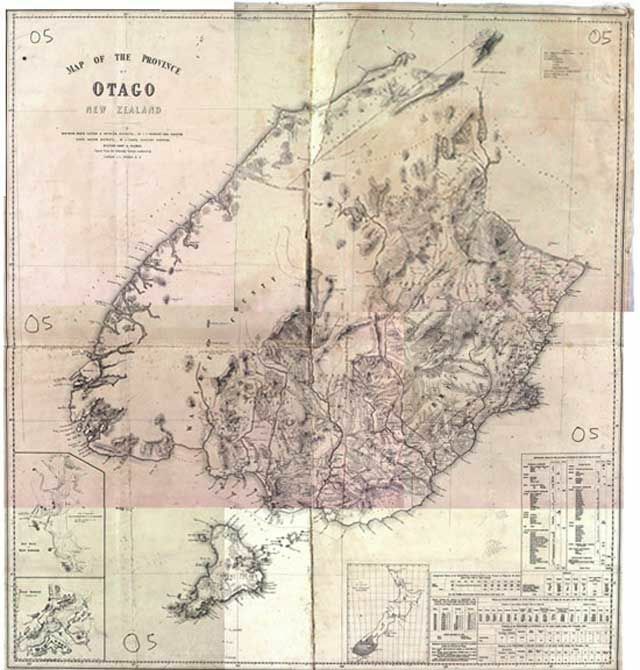 This is an example of an old provincial map of Otago. How does this compare to more modern maps? Image: LINZ. Digital technology enables maps to be presented in different ways and to a much wider audience. Image: LEARNZ.